Already mentioned most things but forgot to add that we have Foxtel, yay!! Brand new renovated apartment, with 3 large bedrooms and high-quality floorboards throughout. The living area is very open and large, with a separate dining area and walk through to the brand new kitchen. The room available features a built-in wardrobe with mirrors, the shared bathroom is brand new. 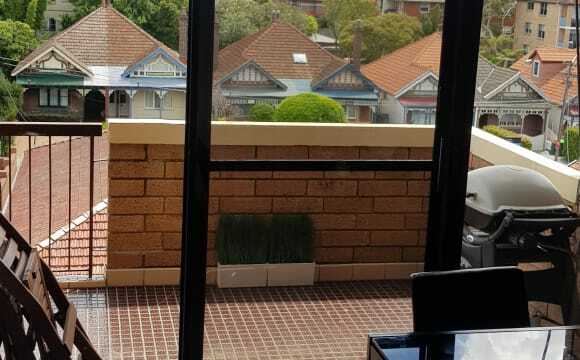 Apartment also features private balcony with fantastic city views. 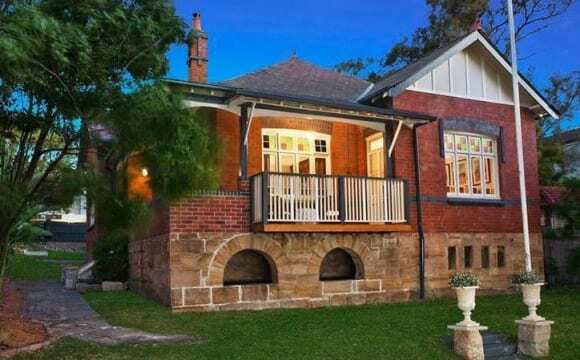 Walking distance to Bay run, Drummoyne swimming pool, Birkenhead point, Harris Farm and local cafes. Great access to the City via bus or ferry (12-15 mins) but far enough away to feel peaceful. Stunning views and a beautiful outdoor pool. Secured parking (if you own a car) Property comes fully furnished (you just need to supply your bed and bedroom furniture) and comes with Netflix. Stan. Unlimited Wifi as part of the package. Utilities (gas and electric) are extra and paid quarterly. Typically work out about $25-$30 a week on top. The room is a good size and will comfortably house a double bed. You will have your own bathroom with bath and shower options. Internal laundry. This is an outstanding location. Fantastic hatbour views over Snapper Island - great place to watch the fireworks! 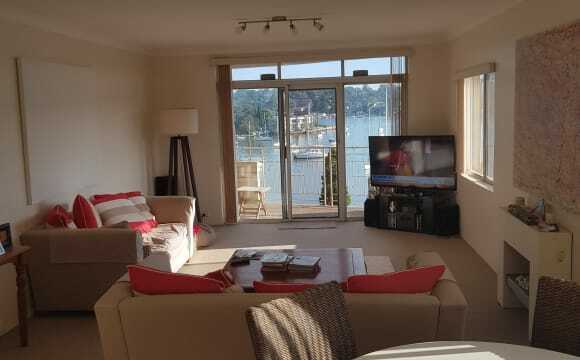 Short walk to Birkenhead point, pubs, restaurants, bus stop to city (15 minutes on bus). Quiet and discreet apartment. Massive balcony with weber bbq. I even have a concept 2 rowing machine to play with. “Secluded Waterfront Luxury Living in Prime location” Queen Sized Room with large built-in wardrobes and a queen sized bed is available in a newly renovated luxurious 2-Bedroom Waterfront Apartment. The prime security building with lift-access is privately situated amongst manicured gardens with an in-ground pool and BBQ area (bookings available for private use). The apartment is super modern with a open plan living / kitchen area characterised by marble floors. 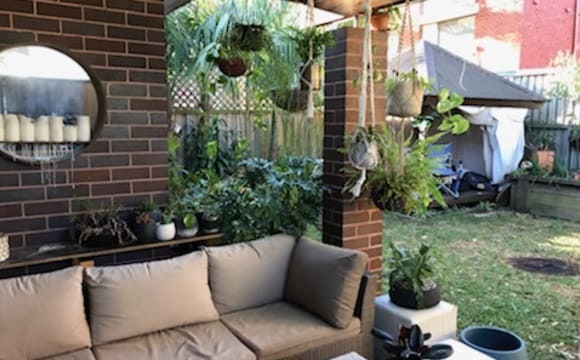 It is completely furnished with all the creature comforts you will need to call this place home including air con, smeg appliances, leather sofa and balcony egg chair for relaxing on those lazy Sunday afternoons. The balcony opens to a leafy, secluded outlook with bay glimpes and there is a communal laundry on the floor with our own washing machine. 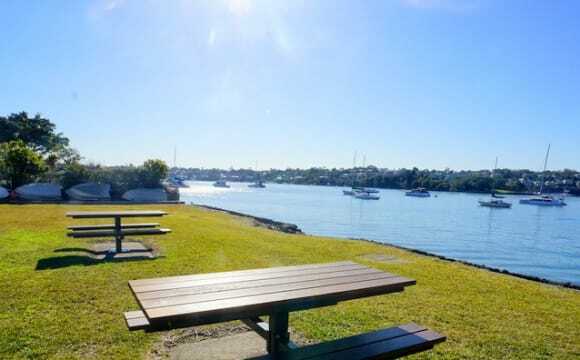 A great relaxing location walking distance to Drummoyne Ferry Wharf (5mins) and City Buses on Victoria Rd (2mins). Birkenhead Point Shops and the Bay Run are also just a moment away. Location is great. 100m walk to Bus that goes into city (20min). Near the water, lots of nice walks. Safe neighbourhood, lots of good restaurants around the corner. House is clean and in good condition, double brick, lots of natural light, high ceilings. The house is a beautiful free standing 3 bed terrace. There is a great yard for entertaining, new kitchen and bathroom and plenty of space. Air Conditioning, Netflix etc all available. Drummoyne is a great suburb, close to the bay run, Balmain Pubs, Orange grove markets and is close to the water. Its a 10 min bus ride into the city. The streets are wide with lots of parking. Its close enough to the city without being in the craziness. I plan to fill only 1 room and keep one empty for use as a study or for guests. The room available is a large private room, that can comfortably fit a queen bed as well as a large built-in wardrobe. It can come furnished or unfurnished depending on what you prefer. 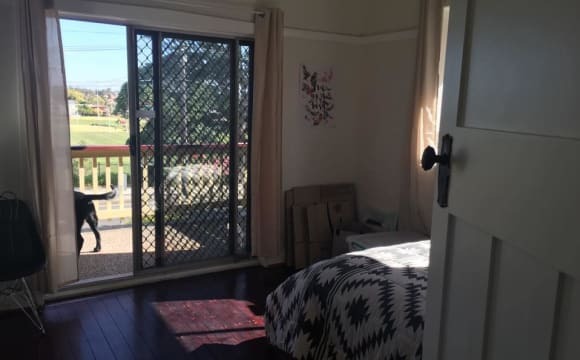 Rent is $310 pw with bill split as they come in. The apartment is in a great location with transport and shops only a 5 min walk away. Including the Drummoyne wharf only a 15 min walk away if you want to take the scenic route to the city one day. It is located on the 2nd floor and has a small balcony with some views of the park right next door. It has recently been renovated and maybe the best part of all it has an amazingly comfortable couch! 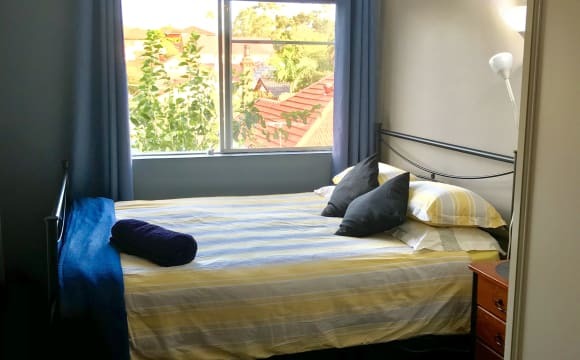 ** SPECIAL- Room 2 - Only $200 per week for first month (if you can move in weekend of 13-14 April ** In light of opportunity and circumstance, I have 2 x rooms available in fantastic Drummoyne! First room 13 April, 2nd room early May! With the 2 rooms I am flexible with move dates, couples, friends etc so if interested please call me to discuss! Our house is modern and high quality, with multiple living areas in versatile Drummoyne. We have a great private outdoor area including undercover patio with BBQ as well as a separate bungalow/ sala, as well as a carport area we are slowly converting to a gym/ recreation area. Inside is large and well appointed, with large corner leather lounge, 65" TV with media centre and large dining area. 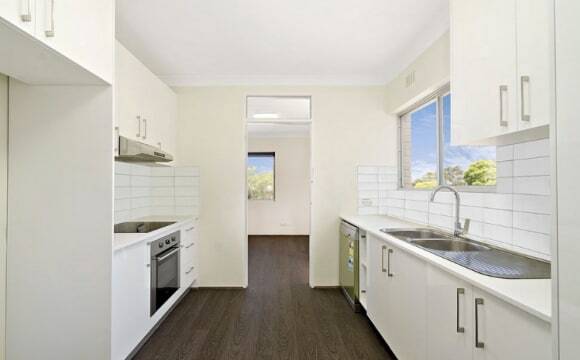 Great kitchen with gas appliances and dishwasher, with plenty of cupboard space also. The house is renovated with cool decor, with A/C and floorboards throughout. We also have high-speed cable internet (with Fetch TV) as well as Netflix (included in rent). The house is actually a 4 bedroom, one of which is used as office/ spare room. 3 min walk from the Bay Run, 2 min away from buses, restaurants and pub, it is convenient, fun and quiet all at the same time. Bedroom 2 is of a decent size, easily fitting a queen bed with beside tables, or even a king, with funky inbuilt hanging space and drawers, with bed and side table provided if necessary. The room has floor boards and ducted air conditioning with high ceilings. 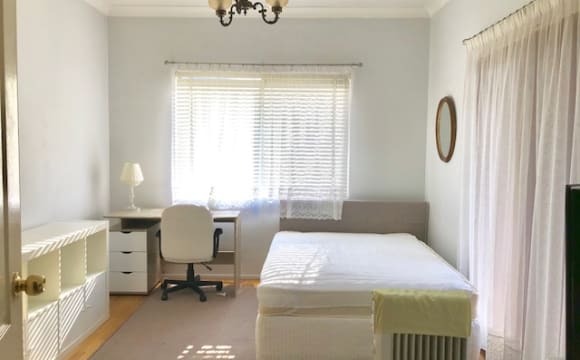 **$200 p/w rent for 1st month if you can move in 13-14 April** Bedroom 1 is positively gigantic, with more than enough space for a king bed, sofa and desk with room to spare! It ALSO has a very cool adjoining sunroom as a private office, walk-in-robe or storage. With a separate A/C unit and funky purpose-built hanging/ storage space, this room is sensational and flexible, with essentially a separate entrance to be as private as you want it to be! My name is Frank... I am an Australian in my late 30's, running events and global marketing programs keeping hopping throughout the week! I am a very easy going and friendly person, with my social life revolving around good friends, bbqs, dinners etc. I am also travel addict; constantly looking for the next adventure! Looking for someone easy going and relaxed, friendly and sociable (but respectful of privacy), taking an active part in the household. Whilst it is not a "party house", we do like to have fun occasionally, which generally involves having a few "quiet ones" out the back, or random dinner with friends. Always laughing and joking around, a good sense of humour is a must. Crack jokes at anything, and you will fit in perfectly... We keep the place clean and tidy but will often get a fortnightly cleaner when we are all too busy busy busy. Air conditioning patio, funky garden, gazebo and plenty of on-street parking make it a very cool place to call home! Rent is $260 per week, or $290 if you want bills included for Room 2 For Room 1 (large room with sunroom), rent is $330 for a single, $380 for a couple. Lovely quiet street close to parks and the Bay Run. Short walk to buses and only 4km to the city! Description of the home - Fantastic location; - Great proximity to shops, transport, gyms, pubs and cafes; - Bus and Ferry options available - 20-25 mins bus into CBD during peak period; - Art Deco recently painted and new carpet; - Fully furnished, kitchen is also is equipped for basic needs - kettle, toaster, fridge, glasses, cutlery etc; - 1 on street parking permit available (all day parking offered next street over). - Uber costs approx $15-$20 from Town Hall. Leafy Street - short walk to Bay Run. ( pool views) (Not ours:) Single one person room , bed available . Pleasant 2 story townhouse in quiet leafy street . Two loos :) Ample leafy yard- lots of light. Cosy house, quiet but relaxed. Can leave the occasional cup in the sink :) Fast buses thru Drummoyne to city. Also buses to Syd uni , Burwood and lane cove. Bills $25 per week. Including internet. We enjoy the peaceful relaxed and friendly atmosphere here. I am mid-aged - I like singing in theatre choruses and bushwalking :) Many travellers and students have lived here. Currently a civil engineer and me, a teacher. We need a third person of any age to enjoy the peace and quiet, to watch a movie with, or to share the occasional meal. 2 Bedroom - 2 Storey apartment in Drummoyne with harbour and city views. Close to the ferry (13mins to Barangaroo + 20mins to Circular Quay), buses on Victoria Road to the city 15-20mins. Short walk to Birkenhead Point shops, the Bay Run and gyms/pool. Spacious lounge room and kitchen downstairs with side balcony and upstairs bedroom, laundry and terrace overlooking the harbour.